TAM supports your aircraft operation including all kinds of maintenance, support, modifications and repair, with a focus on Saab 340 and Saab 2000 regional airliners. This include line and base maintenance, structural repairs, composite repairs, modifications based on Service Bulletins or STC as well as interior and seat refurbishments and upgrades. For line maintenance we are able to establish tailor made solutions at any operator desired location to smoothly support e.g. start-up of new operations. We also support our customers with our vast in-house spare parts storage, including component exchanges and power-by-the-hour programs. Our EASA approved cargo conversion STC for the SAAB 340A and SAAB 340B aircraft provides a cost effective way to convert this fuel efficient passenger aircraft into a freighter capable of carrying 36m3 (1 280 cu ft) of cargo. The conversion features a free loading design with 9G cargo nets, durable wall and ceiling panels, smoke detection system with an annunciator panel and a sealed off cockpit eliminating a need for a smoke curtain. We offer a fixed price for the cargo conversion including documents, material , labor, weighing and final release to service. 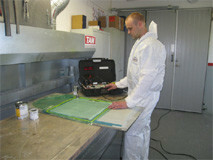 We perform in-house Composite repairs of various composite parts our modern specially designed composite shop. We provide cost effective and quick-turn-around repairs performed in a flexible manner to assist MRO and operators in having their Composite parts repaired during normal down-time for a heavy maintenance check. By doing so expensive parts can be repaired and costly exchanges can be eliminated. We stock most of the common materials used for aircraft Composite repairs to avoid long turn-around times. We perform interior and seat refurbishments giving your aircraft a face lift and improved passenger appeal. It includes Passenger cabin, Lavatories, Galleys, Cockpit and Seats. A worn and badly looking interior will be transformed into a nice looking passenger cabin that significantly increases your passenger satisfaction and reputation. We are able to provide fixed prices for part or complete refurbishments. 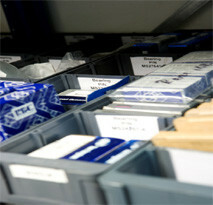 TAM provides a comprehensive component and spare part support including components, expandables and consumables. It also includes exchange program for repairable components on case by case basis or as a fixed power by the hour agreement. In addition we support with Engines, propellers and major items such as flight controls, doors and other significant items on a rental, exchange or outright sale basis. 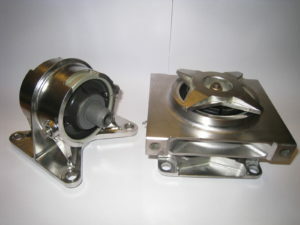 We perform overhaul of Engine Mounts.